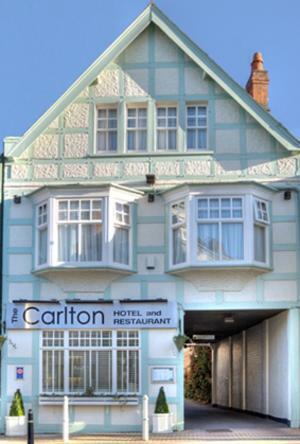 The Carlton Hotel is a century old, half-timbered property sitting just half-a-amile from Rugby town centre and offers guests a small, private car park and good food. Bright, spacious guest rooms await visitors at The Carlton. Each of the bedrooms is equipped with flat-screen television, tea/coffee-making facilities and an private en suite bathrooms. Good attention to food and drink here too. The Carlton's stylish modern restaurant serves a menu that is constantly changing and is adjusted to seasonal tastes. A scrummy breakfast is also served every morning in the dining room. Guests with a taste for the finer things in life will be pleased to learn there is a range of whiskies, beers, and exclusive wines and spirits to enjoy in the hotel's public bar. The hotel enjoys excellent transport links, with the property less than 10 minutes’ drive from the M6 motorway, and 5 miles from the M1. Rugby Rail Station is just 0.4 miles away.